Event Description : "Kalayaatra" 42nd Foundation Day of Dr. Sonal Mansingh's Centre for Indian Classical Dances (Shri Kamakhya Kalapeeth). To celebrate the occasion we have organised a beautiful evening of classical dance productions, yoga and music involving my students and our Repertory Group with my personal participation. 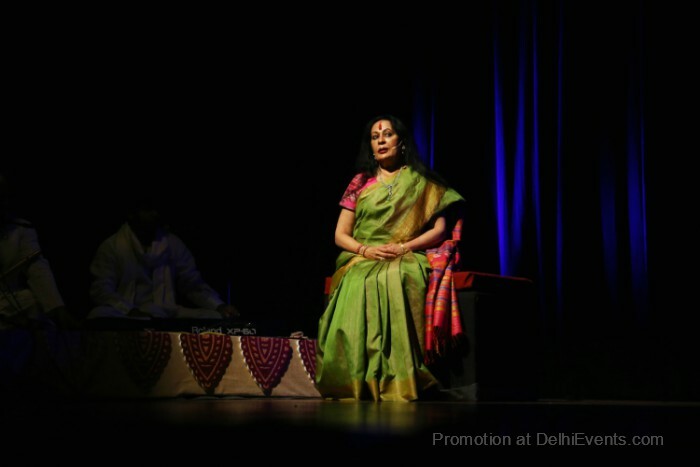 The programme is expected to be a landmark in the cultural canvas of Delhi. The 5th Jiwan Ratna Sanman will be conferred on the legendary Kathak Guru Pt. Birju Maharj on the occasion. It is my personal request to you that such a significant event be covered in your prestigious publication.It will be my pleasure to make time for interview, Q&A, write-up and whatever else is suggested. I look forward to hearing from you. It is understood of course that separate invitation will be sent requesting your presence at the festival.